Just go ahead and make your own decision about parking in this alley. You’re probably OK either way, according to the sign. 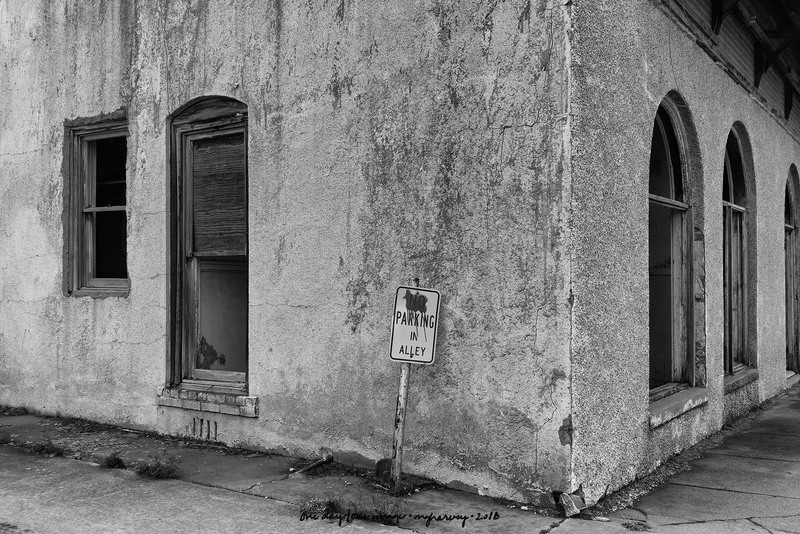 Posted on December 10, 2018, in Photography and tagged 365 photo project, black and white photography, colorado city, colorado city texas, downtown, learning to see, Leica, melinda green harvey, monochrome, one day one image, photo a day, photography, postaday, road trip, signage, texas, thoughtful seeing, travel photography. Bookmark the permalink. Leave a comment.